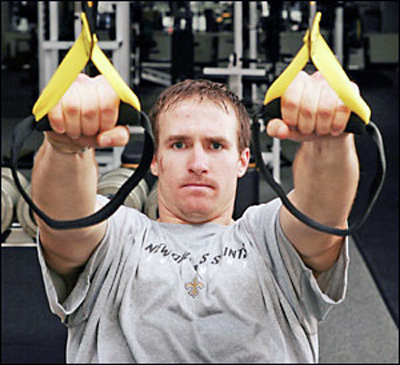 Drew Brees, in the gym "preparing to be great"
Being successful is hard in many ways; if it wasn’t hard, everybody would do it. When we look at successful people, we see the result of their blood, sweat, and tears – we don’t usually see the tremendous effort that went on before. Ordinary people expending extra ordinary effort can be whatever they want to be. There is only one sure-fire antidote for depression and that is action – meet challenges head on! Hustle: give that extra 10% to go beyond what is expected of you. Confidence: the closer you are to your goal, the better you feel about yourself; the stronger you get and more likely to repeat successes. Consistency: practiced and repeated performance — which produces consistency of performance. Competence: confidence and consistency often lead to the discovery of abilities that we didn’t know that we had. Learn to analyze well: do research! Don’t be afraid to act!! Be a team player: give your employer allegiance & support. If you are frustrated and dissatisfied, go somewhere else. Don’t let success go to your head. 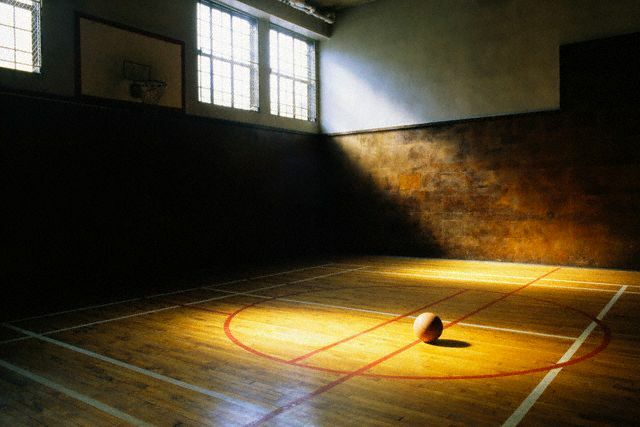 Come early, stay late, work hard, play by the rules, and stay physically fit. Have the courage to stick with your goals and ideas, even if they don’t always pan out. Most people who don’t achieve as much as they want in life don’t fall short because of lack of ability; but because they gave up too soon! Give 100% all the time. Ask yourself after every endeavor: “Did I give my best?” Remember William H Danforth’s motto: “To be our own selves; at our very best at all time. Knowing you put in your best at work allows you the guilt-free pleasure of enjoying your leisure time. THINK: Most people don’t succeed because they don’t think. Sit down with a notepad and write down your goals & ideas. Come up with ways that you can improve the things you’re doing now, and ways you can work more efficiently in the future. the chance will only make her look ridiculous. exactly what her preparation enables her to make of it. of the NCAA Champion UConn Women’s Basketball. 2010 No. 1 draft pick of the WNBA!! Even after school there is more homework to be done, albeit a different kind. Adult homework is preparation. As far as I’m concerned you can never have enough of it. Whatever field you have chosen you should never enter a business meeting without studying. Or a sales conference without researching. Or a theaterical play without rehearsing. Or a footbsll gsme without practicing. Otherwise you are asking for a passport to failure. Preparation is the foundation for sucess. The difference between someone who is successful and someone who is not, is not about talent. It’s about preparation. So much of what successful people do – knowing their competition, making their luck, being equipped to take risks, overcoming adversity, dealing with success – is tied to the powerful principle of preparation. It enables people to move ahead, stay ahead, and live ahead. Through the years what I have always learned and always reinforced is that the way you go about doing your homework translates into the way you end up performing. Being ready for any challenge in business or life, provides the cross-hairs for taking dead aim at the heart of success. When I was with the San Francisco 49ers, there were players that had won 3 or 4 Super Bowls, yet they practiced at a premium level every day! Other teams might feel you can slack off from time to time, but with our team — or any winning organization — there is no other way to go. You have to practice at game speed – otherwise how do you expect to play perfectly on game day? It’s like I tell the team from time to time – we have one chance and one chance only to be successful on Sunday and that is if we have the most thorough week of preparation possible. We start even with the competition on Sunday, but we get ahead of them from Monday through Saturday! It is why our practices are so demanding. We go through every conceivable situation and how we should respond. We work on visualization, going over every detail. We run every play 100 times in our minds. 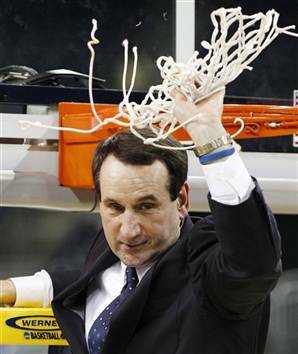 That way whatever happens in the game, we have seen it before. We want our players so disciplined that their reaction is instinctive. No one can wave a magic wand on Sunday, make a great pregame speech, and expect to go out and win one for the Gipper. But if you approach things on a day-to-day basis, then you have a chance for greatness. And the only way to reach this level is to never let up! Always expecting the best forces you to operate at a higher level. The other thing we do is run plays until we do it right. When I was with the San Francisco, 49ers quarterback Steve Young used to call me “Mr. Do It Again”. But if we didn’t run the play perfectly, the way it was supposed to run during the game, sorry, we are going to do it again. We’ve adopted the approach – but not the nickname – in Denver. During our preparation for Super Bowl XXXIII against the Atlanta Falcons, the players felt like they had our game plan down just the way we wanted. It got to the4 point that the players were saying, “Get us away from these coaches! Let play already.” The Wednesday before the Super Bowl, we were crisp. Not once in practice did the ball touch the ground. We are in sync, we were in tune, every pass was on the money. John Elway was conducting his orchestra like few things I have ever seen during my coaching career. Watching John throw prefect pass after perfect pass, a memory hit me out of nowhere. 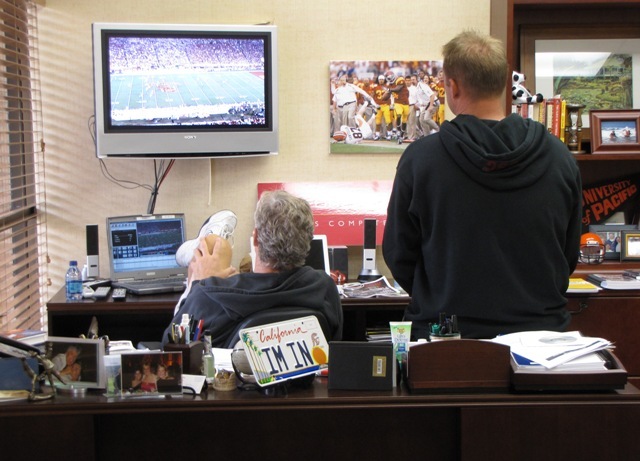 I looked over at Gary Kibiak, our offensive coordinar, who was with me in San Francisco for the 1994 season, the year the 49ers won their fifth Super Bowl. That Thursday practice was when the 49ers were preparing for Super Bowl XXIX against the San Diego Chargers. We were crisp. Not once during practice did the ball touch the ground. We were in sync, in tune, every pass was right on the money. Steve Young was conducting his orchestra like few things I had ever seen in my coaching career. And Steve, like we thought he would, carried his prefect preparation from Thursday to Sundat. He threw for an NFL reord six touchdown passes and was named MVP of Super Bowl XXIX, a 49-26 49er win. And John? He too carried over his perfect preparaion from Wednesday to Sunday. In what turned out to be his last NFL game, he threw for 336 yards, and was named MVP of Super Bowl XXXIII, a 34-19 Broncos win. Funny how that works, but it always does. The way to bring out the best in you is not by chance, but rather through preparation. Adult homework (preparation) – as much as we all would rather not do it – does have its rewards. I say luck is when an opportunity comes along, and you’re prepared for it.